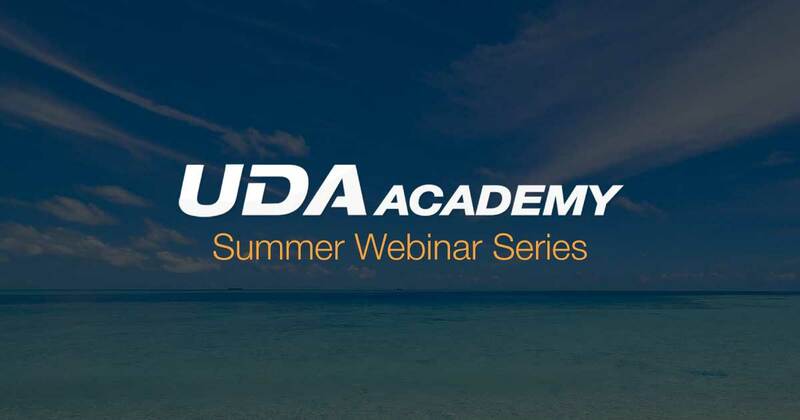 In June, UDA Academy helped to welcome the summer with Portable Project Management, a series which highlighted UDA’s solutions for successful project management while on-the-go, whether in the field or on summer vacation. Individual sessions highlighted ConstructionSuite Cloud and ConstructionOnline Mobile. In July, UDA Academy delivered Pump Up Your Profits, where Senior Product Specialists showcased ways to boost profitability with ConstructionSuite 9’s powerful estimating, scheduling, and project management tools. In August, UDA Academy geared up for fall with Navigating Rapid Growth, presenting expert guidance on “growing with confidence.” Senior UDA Consultants outlined the common pitfalls growing companies face during expansion and how to avoid such outcomes through the application of UDA’s tools and services. To access additional recordings from UDA Technologies, check out the complete library of previously recorded webinar on UDA’s YouTube Channel. See upcoming webinar series and additional special events on the UDA Events Page.